Watch "Bridge2Nepal" on TouchCast here for an interactive experience. When the devastating 7.8 earthquake hit Nepal on April 25, 2015, it did more than kill and injure. It destroyed or badly damaged more than 5,000 of the country's schools, and left more than 1.7 million children in need of assistance. This means that in addition to worrying about how to bring basic supplies and medical aid to earthquake survivors, educators are also faced with the daunting prospect of having to rebuild the school system. Failure to do so could have serious, long-term effects on the children's futures and Nepal's economy. 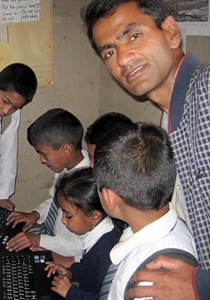 This is why CritterKin and PledgeCents are working hand in hand with two of Nepal's leading connected educators - Sunny Thakral and Govinda Panthy - to create a crowdfunding effort that will directly benefit their students and schools. The money we raise will be used to not only rebuild the walls of the schools, brick-by-brick, but to provide basic supplies like desks, paper and writing utensils. In addition, we will be using this campaign to build stronger ties with and to our global community of educators. Make your contribution today and you will have your name added to our contributors' wall and will automatically receive email updates as we post the latest news on the rebuilding efforts, stories and photos from Sunny, Govinda and their students, and letters and videos of support being sent by other educators. We have set a very modest goal of $1,000, but we are hoping to quickly reach and exceed that goal so we can continue to be part of their ongoing efforts to not only rebuild but enhance and expand their education resources as well. Please share links to any letters, photos or videos you and your students are creating to send to Nepal so we can share and help spread the word across our global community. All the money raised will be used to support the schools in Nepal. The more we raise, the more support we will be able to provide. A 'THANK YOU' TO ALL OF US FROM THE CHILDREN AT THE TRIKA SCHOOL! At CritterKin and PledgeCents we were thrilled to receive these wonderful photos of the youngest students at the Trika School in Bhaktapur, Nepal this week from Govinda Panthy. We want to thank all of you for helping this school in a poor rural area after the earthquake. It means so much to parents when their children have a school to learn beginning at an early age and a place to make their first friendships. Many parents want to send their children to the school and the need for financial assistance continues. The Open World Cause organization, Ben Honeycutt, Connor Janzen and other team members will continue to support the school and community. Thank you for being our partners on the #Bridge2Nepal campaign. Thank YOU for Supporting #Bridge2Nepal! 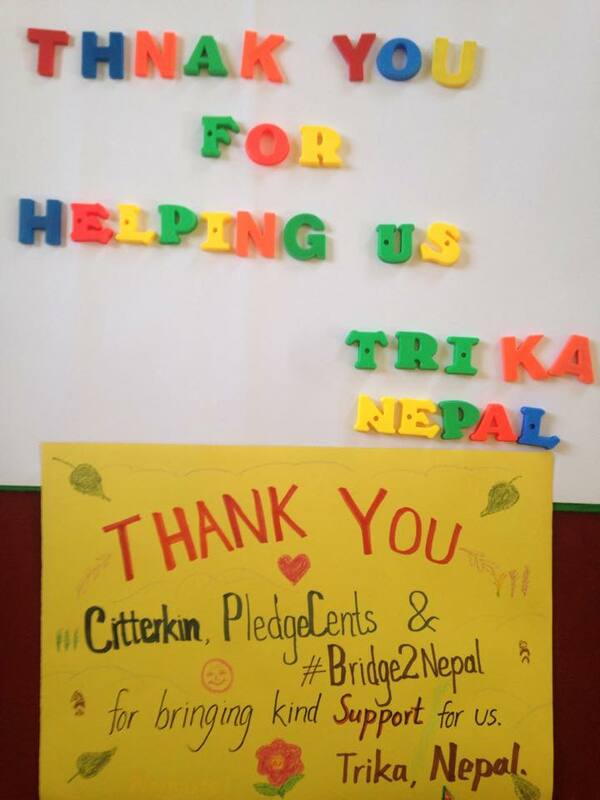 When CritterKin and PledgeCents launched the #Bridge2Nepal campaign after the earthquake in Nepal, our goal was simple - to raise funds for schools or a school in need. We're proud to have completed the campaign with the support of many educators, friends as well as students at the Phoenix School in Salem, MA. We're now ready to distribute the money raised to Govinda Prasad Panthy, a member of our PLN through the Open World Cause organization. During the campaign, we became more and more impressed with the work of Open World Cause. They have spent years in a close relationship with Govinda Prasad Panthy, the founder of first the SAV School and now the founder and director of the TriKA School. We were extremely fortunate that this summer the Open World Cause team was able to travel again to Nepal and to spend time with Govinda, his students and in the community to assess their needs. Ben Honeycutt, son of Kevin Honeycutt who shared some of the history of the ongoing relationship with Govinda in a recent update, started Open World Cause in 2010 when he was a high school senior with the goal: "to send two laptops and establish internet access to the SAV school." Since then, Ben says the project has reshaped his life. With the support of ESSDACK and many individuals the Open World Cause project has already made a difference with supplies for the school and community. The team shared many wonderful photos from their recent trip to Nepal on their Facebook page. Shelby Lemon, one of the five team members who went to Nepal this summer, shared her experience in a blog: Experiencing Nepali Education & Culture. We're excited to also share the latest news - Open World Cause is a 2015 finalist in the Bammy Awards Student Voice category. We hope they'll be the honoree at the Bammy Awards ceremony in Washington, DC on September 26th. From the beginning our goal was to connect educators globally and to enable students to connect with each other around the world too. It is also a goal Govinda has had for himself and for his students. #Bridge2Nepal is a wonderful example of how we all came together to accomplish that for one school and community in Nepal. Thank you for being a part of our global PLN on this journey! This year my class, along with my school, united and raised money for the British International School of Kathmandu in Nepal that was affected by earthquakes shortly after my 24 hour Skype-a-thon (#PVSkype24) in March. It was very rewarding and successful due to the connection the students had while learning and sharing with the Nepalese students during our Skype session. The kids and I were very grateful to be able to help out and give back to a school that does charity work in surrounding villages. At the same time, in the back of my mind, I was always thinking about how to help Govinda Panthy, another teacher in Nepal whom I had come to know through my PLN. 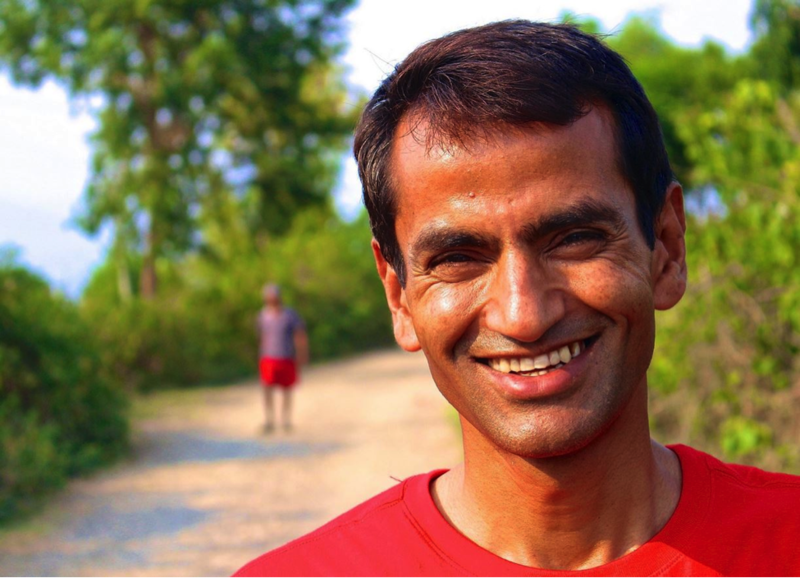 Govinda has a passion for bringing the world to his students through Skype. I wanted to be able to help Govinda and his school, but knew I couldn’t do both. During the time my kids and I were fundraising for Nepal, I was delighted and honored to learn that Microsoft was sending me to ISTE! I could hardly wait to meet, connect with, learn from and share with other educators from around the world. Skip ahead three months. It is just 8 days before the start of ISTE. I’m chatting with Govinda over Skype, and it hits me like a cannonball. Why can’t I Skype with him at ISTE? I am going to be sharing the benefits of Skype with other educators. 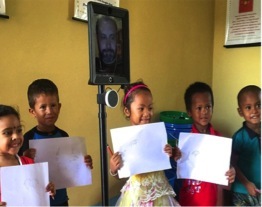 What better way to demonstrate the power of making connections and how Skype brings the world to students than by bringing my friend Govinda, 8,000 miles away to them? The sudden realization that Skyping with Govinda would be a wonderful way to not only demonstrate the power of global connections via Skype, but perhaps get Govinda some much needed support feels like only the latest step in a wonderful journey I’ve been taking as an educator. I feel as if I have a path and purpose, and I am blessed to be able to use my skills and talents to help those who are less fortunate than I. So if you’re in the in the Exhibit Hall near the Microsoft/Skype Booth around 9:30 on Wednesday stop by to speak to Govinda and ask him how he uses Skype in the Classroom to connect his students to the world. Ask him how Skype has changed his class and his school, and what you can do to help. Last night I had the pleasure of teaching kids at the Tripur Kinder Academy in Narayanpur, Nepal to draw an elephant. The amazing part was I was teaching from my home in Inman, Kansas. This was achieved using a Double Robotics robot, taken to the school this month by a group of amazing American young people representing The Open World Cause. The head teacher and educational leader named Govinda Prasad Panthy, along with his dedicated fellow educators, has been working in education for many years and has built schools and futures for kids in rural Nepal. Govinda, in his outreach to try to improve the educational opportunites at first at the SAV School in Bhaktapur, and when that location became unavailable, at Tripur Kinder Academy in rural Narayanpur, has generated some wonderful results. 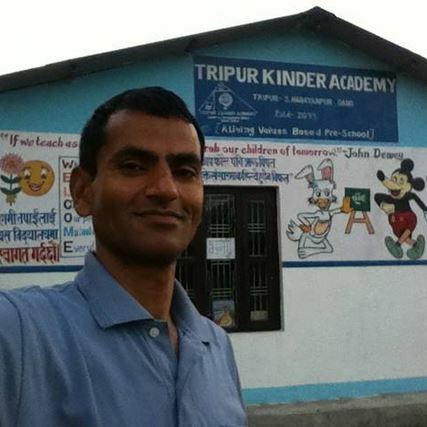 Partnering with The Open World Cause, (http://openworldcause.com) Govinda first improved his former school in Bhaktapur and now has opened the Tripur Kinder Academy in Narayanpur. Thanks to generous donations and partnerships created over the last five years, the new buidling and land is owned outright as opposed to the old building and land which was leased. The ability to build and own their school has solved many problems they faced previously when leasing, such as losing learning and recess space, rising rental costs, and building maintenance issues. The new building is far superior to his former school in construction and is luckily out of the way of the epicenter of the recent seismic activity. I know that Govinda is torn between his concern for the children and families at his former school and the need he has to get all the pieces in place to create the best educational opportunity he can at his new school in Narayanpur. It hasn’t been easy for he and his family as they have deep connections in highly affected areas. What I am inspired by is his ongoing focus on doing his best for the kids and families who are in need. As I have communicated with Govinda since July 2009, I have witnessed his patience with slow change and the need to help others understand the complex and sometimes confusing differences between his reality and their own. My son Benjamin Honeycutt, the original founder of the Open World Cause became acquainted with Govinda Prasad Panthy in 2010 when he asked me if I knew of any schools or teachers who needed things. After researching Govinda and his school he jumped in and started communicating with him on a regular basis, trying to find ways to help improve the educational prospects for these deserving kids. Their entire journey that spans to present day can be unearthed here: (http://openworldcause.com/about-open- world/) but what’s most exciting to me is what has been happening this month. 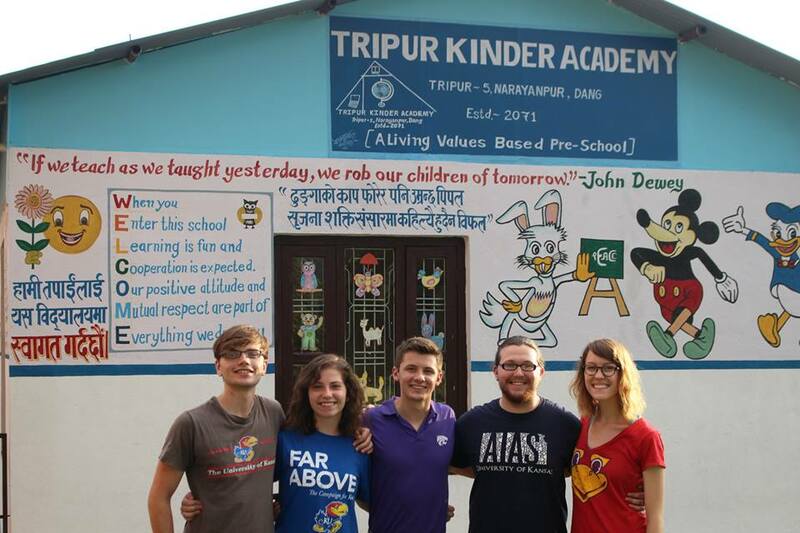 After fundraising for years and providing assistance to help first improve the old school and then to take on the courageous task with Govinda to temporarily leave his home and family to build the new school, the team from Open World traveled this month to Nepal to do deeper research into the realities of providing meaningful help for the Tripur Kinder Academy. Some members of the team are dedicated to gathering data and information about needs and challenges, others are documenting and sharing and learning as much as they can about the realities there. One member of the team has made it his mission via his own initiative (http://www.projectpurus.org) to provide clean water to the families in the area. All of the funds raised by the Open World Cause go through a 501c3 Non-profit at ESSDACK (http://essdack.org) to provide transparency and ensure that the intentions and motives of both Open World Cause and Govinda are perceived as clean and true. Funds that are raised to aid in adding high speed internet will go a long way toward ensuring that lessons like the one I taught last night are easy and that people anywhere in the world can be volunteer educators there. It is amazing to see what can be accomplished by good people who seek to make the world a little better through their actions. I’m already planning my next drawing lesson. I had to stay up until after 2 am to teach them in what is their morning, (if you live in Kansas) but it was well worth it to see the looks on their faces. To learn more about the Open World Cause and to help with their current effort as well as their next project go here: http://openworldcause.com/contact-us/ or follow their mission on Facebook: https://www.facebook.com/openworldcause. We are very close to the final days of our #Bridge2Nepal fundraising effort which will be ending in spectacular style as North Carolina educator and Skype Master Teacher Beverly Ladd & Andyshea Saberioon (CEO of PledgeCents) speaks live via Skype from the Microsoft booth at ISTE to Govinda Panthy in Nepal on Wednesday, July 1st at 9:30AM EST. We are very proud and honored that standing by her side will be award-winning educator @KevinHoneycutt, a globally known technology integrationist and a staff developer from Central Kansas who spent 13 years teaching K-12 art and now travels the country and the world sharing his ideas with educators. His website www.kevinhoneycutt.org is a valued treasure house of resources for educators. Since Kevin's relationship with Govinda goes back to 2009, he generously agreed to share details with us about their history of working together and how Kevin's son Ben eventually got involved in what was originally a school project that 5 years later has evolved into Open World Cause. Since their inception they have partnered with ESSDACK an educational service center in Kansas and used their 501c3, The Foundation for Leadership and Learning to handle all fund distributions. In the coming weeks Open World Cause looks forward to becoming a full-fledged autonomous 501c3. All the money raised by the Bridge2Nepal campaign will donated to Govinda through Open World Cause. "...we are still having frequent aftershocks..."
Toronto, CA (June 21, 2015) -- Just one day ago there was another earthquake in Nepal that registered 4.7 on the Richter scale. The aftershocks that Govinda mentions in his May 24, update quoted below, anywhere else in the world and certainly in Los Angeles, would be called what they were, "Earthquakes!" Bhaktapur, Nepal (May 29, 2015) -- "Here in Nepal, we are still having frequent aftershocks. Just yesterday, there were seven during the day and two last night! These continuous quakes are so frightening that people never feel safe and it's impossible to have their lives return to normal. Many people are going to need counseling to overcome their fear. With regards to school, the govt has asked that all schools reopen this Sunday, but no one seems to be in the mood to do so. Teachers will play vital leadership and management roles in getting education going again. Unfortunately, many teachers are still traumatized too." You can send hope to Govinda, his students and the community by helping to provide what is needed to make the SAV School he founded a place where children can again learn and feel safe. 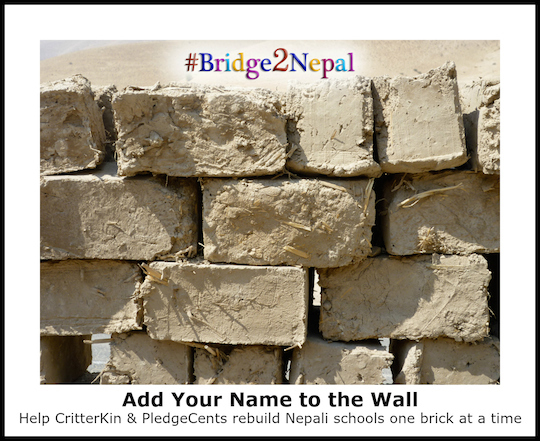 By contributing to the CritterKin and PledgeCents #Bridge2Nepal fundraising effort, you will be helping to replace damaged school supplies and provide enhanced Internet and WiFi at the school that will allow these children to connect to other children and schools around the world. Magnitude 4.4 plus earthquakes hardly can be dismissed as just aftershocks. Geological experts predict that these will continue right through the Monsoon season. 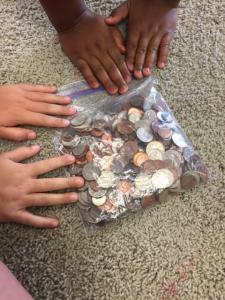 From the outset our goal for the PledgeCents #Bridge2Nepal fundraising effort was to specifically funnel aid to members of our PLN living and working in Nepal. The international community has responded through hundreds of both large and small charities with generous contributions of aid. Sunny Thakral’s school, The British School in Kathmandu, fortunately so far remains intact as has GovindaPanthy’s SAV School. Since Sunny’s Thakral's school has received significant financial contributions, he has generously offered to allow Govinda Panthy's SAV School in to receive all of the money raised from our #Bridge2Nepal fundraising effort. 100% of this money will go toward much needed school supplies and toward upgrading their Internet, Wi-Fi capability and increasing the number of classrooms. Well-built, with his own hands, Govinda’s School sits within a village that has seen enormous destruction from the earthquake with some families having to take shelter in the school. In Buddhism there is a practice called Metta Bhavana or loving-kindness meditation that is used as a method for developing compassion. In Western Buddhism, Metta Bhavana has also been called “Just Like Me" meditation. Research from The Stanford University Center for Compassion and Altruism Research and Education has shown that compassion is most easily generated and funds raised by putting a face on the suffering. Help PledgeCents and CritterKin bring a smile to Govinda’s face and onto the faces of his children by contributing to our #Bridge2Nepal fundraising campaign. On July 1st, Beverly Ladd, NC 2nd grade teacher and @SkypeClassroom MasterTeacher (@beverly_ladd), will be Skyping with Govinda LIVE from the Microsoft Booth at #ISTE2015. Hopefully she will be able to tell him that we have reached our goal of raising $1000. Let us reach and exceed the goal together! 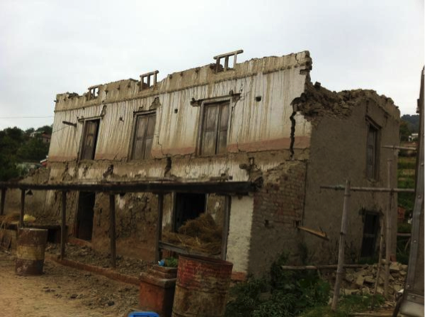 "Some of my friends wanted me share my experiences during the devastating Earthquake. Thank God, our family, all the SAV School students, and TriKa (Tripur Kinder Academy) students are safe, though there's property loss in most families. Their houses are cracked and/or damaged totally. When the earthquake occurred, I was in my new location but my wife and daughter were in Bhaktapur (Kathmandu valley). I lost contact for some hours with them due to the lack of mobile/internet connectivity. I was so worried about them! After some hours my daughter called me and let me know they were safe but so much shocked. We couldn't keep contact frequently for more than 36 hours. There were many aftershocks, and continue to be even today. It's really horrible. When I got in touch with my wife I asked her if all the people in the village were safe. I was glad to hear there were no human casualties, but some families lost their animals, and almost all the houses were damaged. Everyone has been outside in the fields and streets for days and nights since the quake. I told my wife I was going to see them, I was so shocked, but she told that although they miss me so much I shouldn't rush due to the heavy traffic and my tough work. I decided to concentrate with our new school for now. Then, when everything thing settles, I can see them. I gave her virtual hugs and kisses for being so strong. I was so proud to see her being so strong. I asked my daughter (14 years) to learn to become as strong as her mom. I asked her to take some pictures of the house near the school. She took them the next day and seeing the pictures I was flat. I called my daughter and asked if she could go round the village and report to me more about our ex-students. Most of them were outside shocked and terrified due to the continuous aftershocks. Later I was able to contact my brother and his family who live in Bhaktapur few kilometers away from my family. They are safe but their house is cracked. I contacted one of my sisters who lives in Gorkha. They are also safe, but got their house damaged. 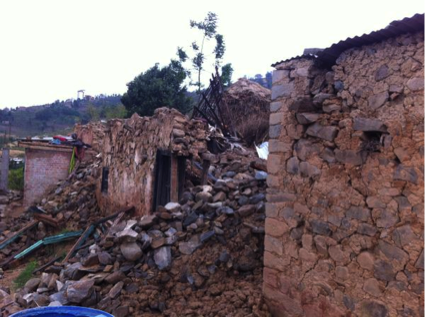 I contacted my uncle who lives in Lamjung, he said almost all the houses were hit and got damaged. They are sheltered outside. I tried to contact as many people as I know. Everyone is shocked, and no one dares to go inside even if their houses are only a bit cracked. Most of the houses are very unsafe to go in. But thank God there was no loss of human life in my family and relatives. The horrible earthquake reminded me of when my mother swinging me in a cradle when I was 2 years old. Thank God it was fortunately midday and on Saturday. There was no school. If it was at night or on a school day, more than half of the population would be finished. When the earthquake hit, there were six people, me and my relatives, talking about school in my room. When it started shaking, everyone tried to run outside. Four of them ran out. I tried to stop them from running because we were in the second stairs of the house, and the house has a narrow wooden ladder. I couldn't stop them all, but I stopped my sister-in-law with her 2 year old daughter and pushed her to the corner of the room, not letting her climb down the ladder. The whole house was shaking so terribly that both of them started crying. They wanted to go out, which I saw was impossible. They'd certainly fall down the ladders. I was also leaning bad to the wall beside the door pushing them against the wall. I'd never realized an earthquake could be so long. It went on for nearly for 2 minutes. After that, my sister-in-law sat down flat. Then I helped her up and took her outside, holding my niece in my arms. Everyone outside was shouting at us for not running outside during the earthquake. How could I do that when I was on the second floor and I knew what the result would be if I tried? I'm happy I didn't lose my patience. Thank God we are safe!" Thank you for your commitment to teachers & children in Nepal! We really appreciate The Phoenix School Early Act Club donation to help rebuild schools in Nepal and their support of Govinda Panthy! 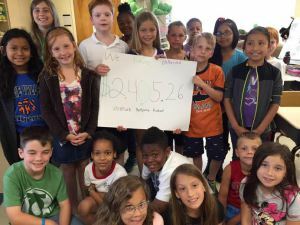 The Phoenix School EarlyAct Club, a student run community service club sponsored by Salem Rotary Club, is donating $184.92 to help the teachers in Nepal rebuild schools damaged by multiple earthquakes and buy school supplies. We keep in touch with Mr. Govinda Panthy because our teachers know him from collaborating on global projects. We are happy to hear that the teachers are making sure the kids have school even if the schools might be badly damaged and aren't in use anymore. Our club hopes the people of your country well and a quick recovery. Sending love and light and wishes for quick recovery for your whole community. CritterKin and PledgeCents are teaming up to support global educators! At the simplest level CritterKin is a series of children’s books written and illustrated by Jena Ball. the books are designed to teach children that animals (critters) are family (kin). Fundamental to the CritterKin mission is the belief that emotional education is as important as any intellectual skills we can teach. Children need opportunities to experience and practice empathy, compassion and respect in order to develop into caring, responsible adults. 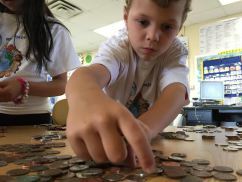 PledgeCents is the crowdfunding platform working to expand opportunities for teachers and students and bringing a voice to classrooms around the country and world.